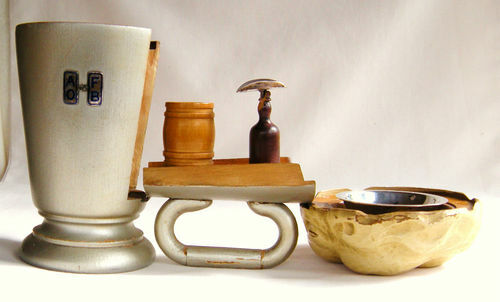 A novelty smokers companion was made in the form of a foaming tankard, fashioned out of hardwood painted in metallic paint. 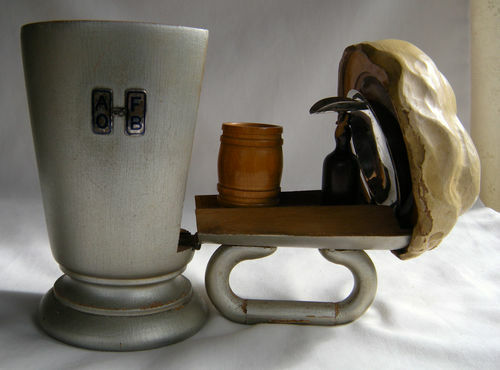 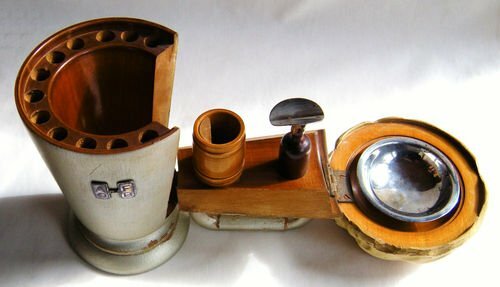 At first glance it looks like the Birmingham Medal Company tankard although slightly larger , but it folds out to reveal a match holder, cigarette/cigar stand and a metallic ashtray. 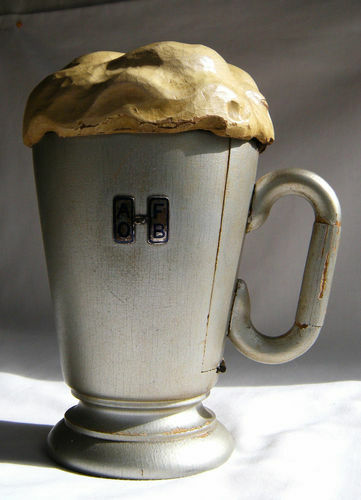 The inside rim of the tankard acted as a cigarette box and could hold 12 'gaspers'.